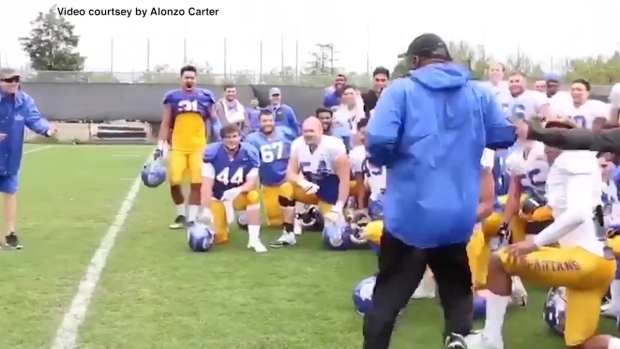 It’s the video running through everyone’s social media feeds these days: San Jose State University football running backs coach Alonzo Carter showing off his "Hammer Time" dance moves. But who is the man behind the slick moves? 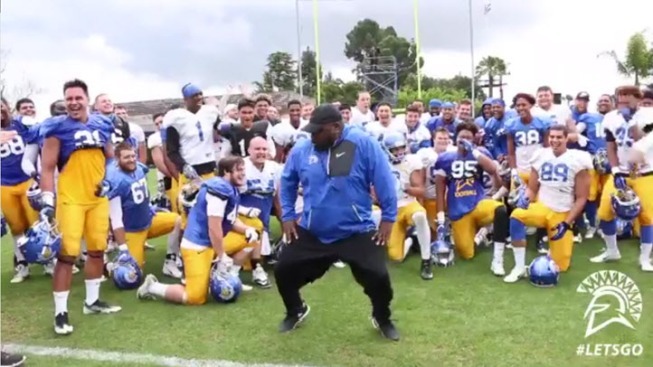 And how did an SJSU coach work with 1990s legend MC Hammer? Carter is one of the many coaches added to the SJSU football team this season after the squad did a complete revamp of its coaching staff. Despite coaching for most of his career, his first job had nothing to do with football. Carter's first job was serving as a backup dancer for MC Hammer. Both Carter and MC Hammer went to the same high school, but it wasn’t until after Carter finished college at then Cal State Hayward that he found out they were attended the same school. MC Hammer held auditions for his first music video “Let’s Get It Started” in Oakland, and Carter took a shot by trying out. 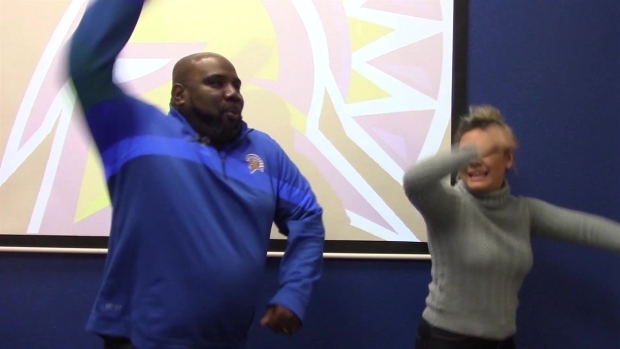 “We decided that we wanted to be a part of the video because we would always hear Hammer’s songs in the local clubs,” Carter said to SJSU’s The Spear. During his audition, MC Hammer stopped the music halfway through and told Carter and his group that he wanted them in the video. In 1990, Carter had the chance to dance with Oprah Winfrey on her show and performed at the Grammy’s and MTV Awards. View the full story on The Spear's website.